Don’t wait before your pest issue gets out of hand! Find your pest control service in Dubai with a click of a button and either get offers from multiple pest control service providers or book your pest control service immediately through Instant Booking! Pest control issue in your Dubai home? No need to fear for mrUsta is here! 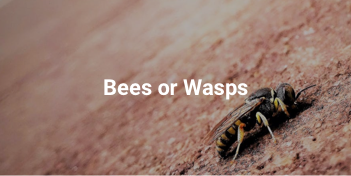 If you’ve landed on this page, chances are you have a major pest control problem in your Dubai home, or at the very least, you have a friend or know someone whose pest control issue is driving them insane. Nothing gets under your skin like the thought of creepy-crawlies like cockroaches, bees, wasps, flies, bedbugs, rats, and mice calling your home – well – home. If you’ve had enough, you’ve come to the right place and we are more than happy and capable of helping you with your pest control issue. We enjoy great weather in Dubai for 6-7 months a year. But while we stay indoors during the summer swelter, pests have the same idea too and will invade your home in droves to shield themselves from the unbearable heat. And when that happens, you can find your pest control service in Dubai in a few short minutes through mrUsta either by immediately booking the pest control service or ‘pitching’ your pest control issue to several service providers (‘Ustas’) who will bid for your business. Our pest control Ustas offer multiple options to meet your pest control needs. 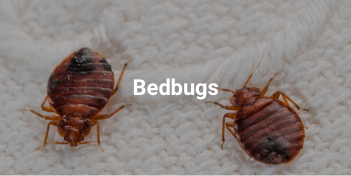 For example, you can book a pest control service for cockroaches alone, but the Ustas will provide you with the option of having a more general pest control treatment that will cover numerous pests. And if you are worried about safety and quality, all pest control Ustas are required by law to register with the Dubai municipality and for their treatments to be odor-free and children-safe. The pest control Ustas are also required to provide a warranty that the pests that were treated for don’t return for 3 months, and has an efficacy of 6 months. 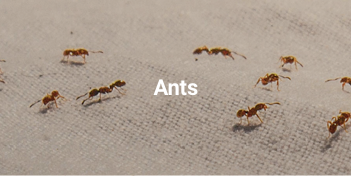 As we require ALL our pest control Ustas to be registered, you can have the peace of mind that they will offer their pest control service by the book and as we have our own stringent vetting program that ensures only the best pest control companies join our platform. Very professional excellent service overall. They are very thorough and after 1 day I saw a big difference. It has been one week and almost all the cockroaches are gone. Thank you! The best pest control service I have received. He was very supportive and his knowledge on the subject is remarkable. I recommend his service! Arrived on time. Friendly Usta who knew what he was doing. Would use him again - in fact I have signed up for a yearly contract so will be seeing him at least another three time over the next 12 months! There’s a certain inherent danger of not washing your rugs and towels regularly – the danger of harboring undesirables in your bathroom: mildew, mold, and pests – lots of pests. Not all your home service needs require a sizable investment. For less than a full tank of gas in the UAE, you can say goodbye to those pesky bugs and get pest control done for your Dubai home!.